These are a selection of collages created from 2016 - 2018. 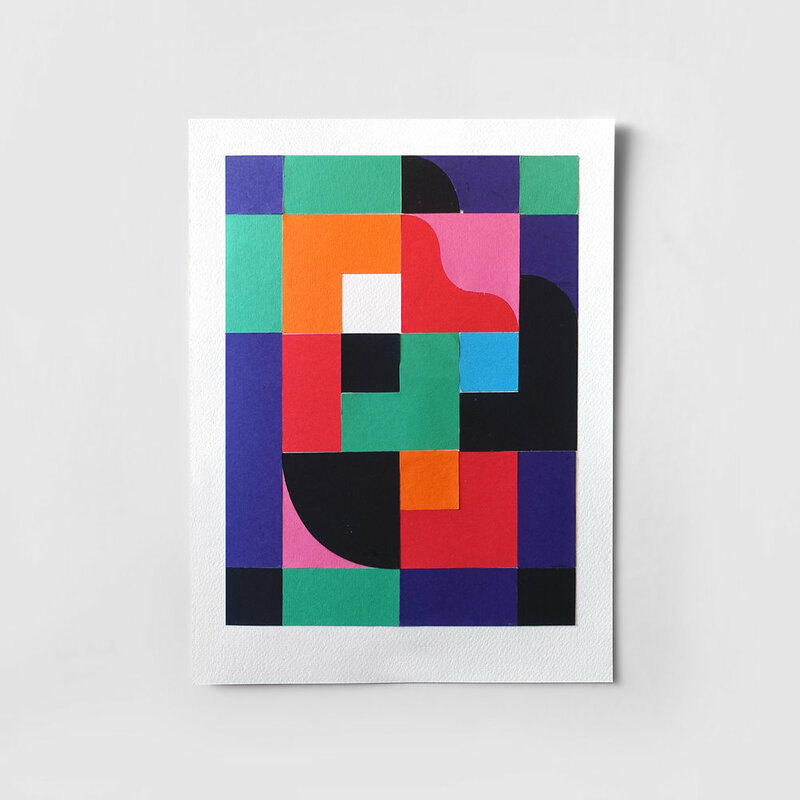 They are created using a plotter and a supply of coloured card stock in varied & vivid hues. I choose to use card as a medium to explore colour and shape combinations because of its convenience and simplicity. These are some of my favourite outcomes that have come from this process, but creating finished pieces isn’t the main focus, rather the works are what’s left over from a creative exercise intended to develop a sensitivity to colour and pure form.